The Clopton is a modern sideboard with shaker style doors and end paneling. 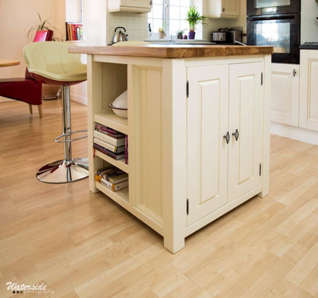 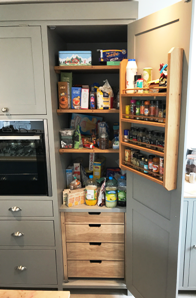 the double cupboard is fitted with a fixed shelf under a full width dove tailed soft closed drawer. 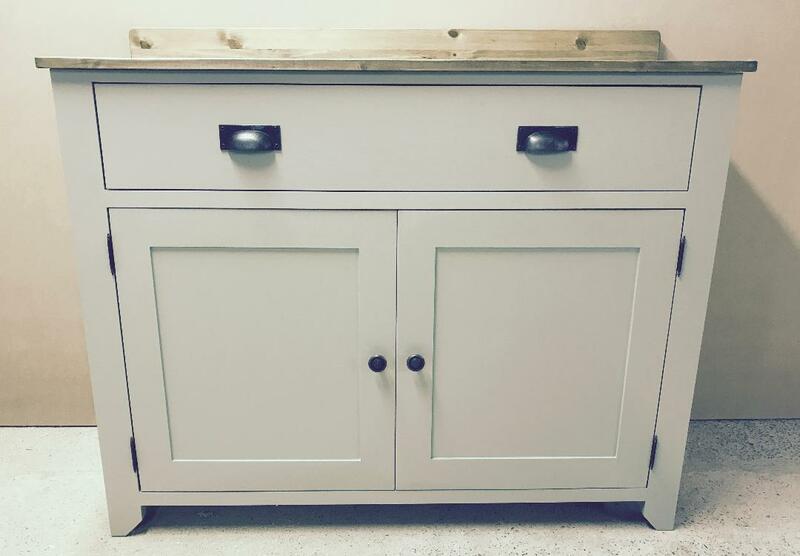 Pictured in Farrow and Balls “Blue Gray” with a 20mm pine top back stand. 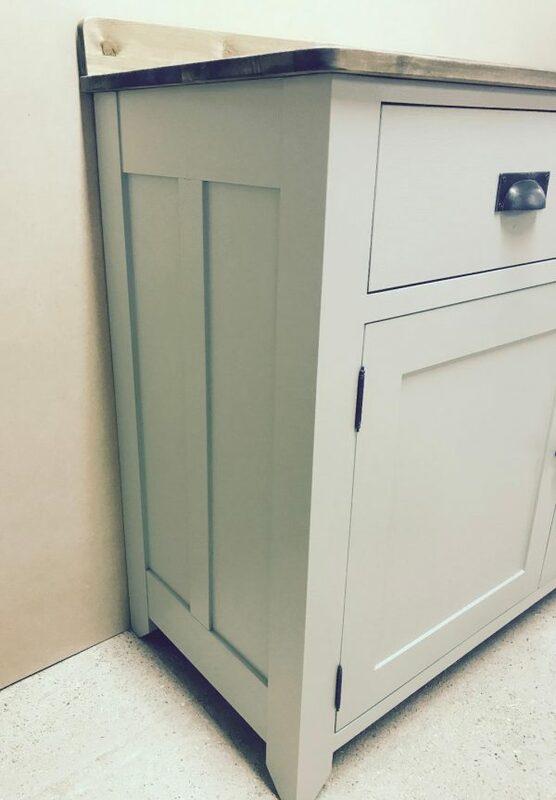 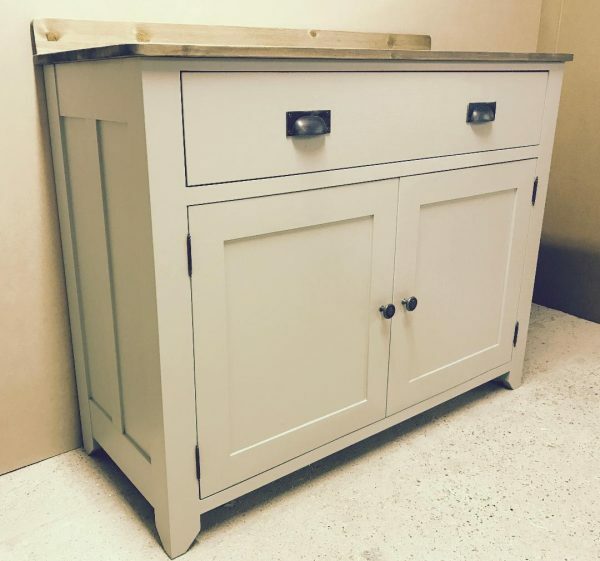 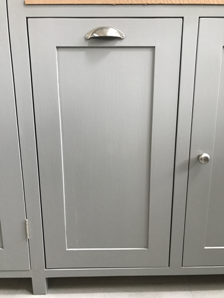 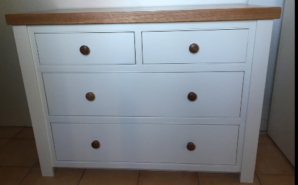 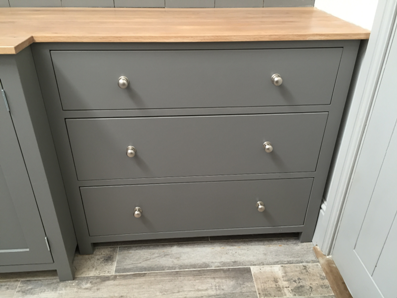 Can be painted in your choice of Farrow and Ball, we can also customise the handles. 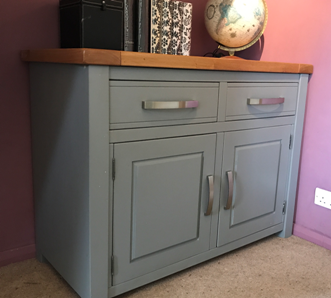 You may like our other sideboards.